See Carley Garner's natural gas market analysis on Mad Money! DeCarley Trading works hard to provide clients with an abundance of high quality trading research and strategy guidance from various sources. A recent issue of our client newsletter, the DeCarley Perspective was featured on the "Off the Charts" segment of Mad Money with Jim Cramer on January 15th! 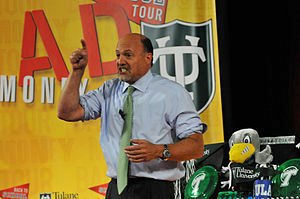 Who could possibly bring more "ENERGY" to market analysis than Jim Cramer?